It doesn't get any better than this, folks. Over 300 pages of black and white comics intensity courtesy of the one-of-a-kind-pair of Argentines-in-exile, José Muñoz and Carolos Sampayo. To the best of our knowledge, the stories that populate this volume had not been translated into English before appearing here; almost certainly not the two 21st century stories, the existence of which we were not even aware. 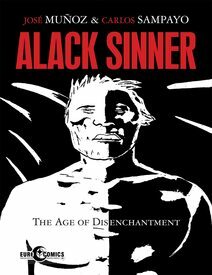 Alack Sinner: The Age of Disenchantment offers valuable perspectives on the United States, social, political and psychological, that you'll be hard pressed to find elsewhere in comics. And we don't even know where to begin on singing the praises of the art of José Muñoz, but we will say that the 300+ pages you'll find here include some of the very best work of his career. 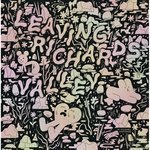 Basically: buy this book!